Coco Re'al is probably the most versatile coconut puree. 'Not only is it essential when making a Pina Colada, it's great in any coconut cocktail or dish that requires a natural coconut flavour to bring that tropical taste to your dining and drinking experience.' - Ian Burrell, Global Rum Ambassador, Founder, RumFest. 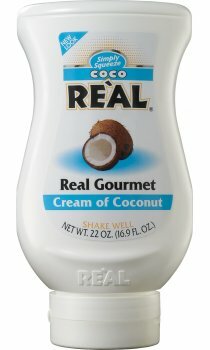 Coco Re'al contains real coconut meat as well as coconut milk and gives a fresh, intense coconut flavour and texture to any cocktail. It is also great in rice and curry dishes, baking sweat breads, buns, biscuits and cheesecakes, ice cream, desserts, sorbets and even as a marinade for white meats and fish. Simply squeeze Coco Re'al into cocktails. Upside down bottle design guarantees easy flow from beginning to end. Exclusive oxygen barrier protects delicate coconut oils. 30-day shelf life at ambient temperature, once opened. 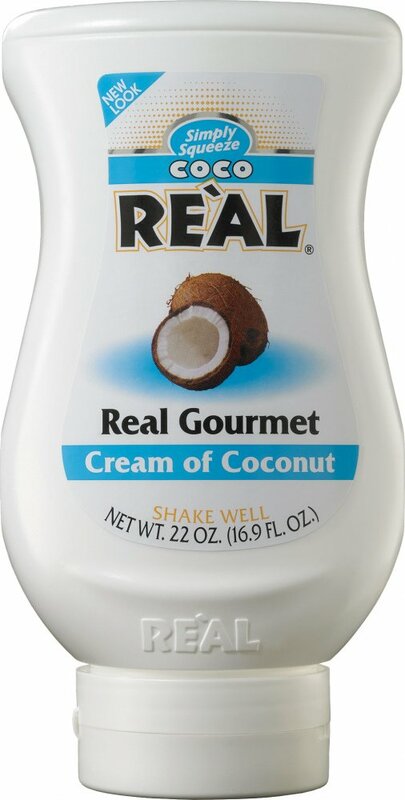 In my opinion this is the best Cream of Coconut on the market. I have tried so many different types. It makes the best Pina Colada ever!